Since I was six years old, I wanted to become Gyro Gearloose (NL: Willie Wortel, IT: Archimede Pitagorico), the inventor from the Donald Duck stories. That love of creating smart devices and robots never vanished. I consider myself lucky to be part of the IMSystems team since October 2016 – being able to turn my hobby into my career. My name is Alfons Schure, thirty years old, and for the last ten years living in Delft. I grew up in Hoogkarspel, a small village in North-Holland.After a youth full of Lego, creating videos and websites, programming in multiple languages, and more fun; I studied Mechanical Engineering in Delft where I specialized during my master in the control of robotics. In my spare time I programmed microcomputers and built simple robots using my own 3D printer, besides my other interests like windsurfing and playing the saxophone. With the experience obtained during my study and hobby projects I saw for myself how annoying the losses in a transmission system are. These losses are always significant, very non-linear, and time varying – in contradiction to most textbook examples – which means less control over the forces and accelerations in a system. Being able to control the forces and accelerations more accurately would make a system much more controllable, dynamic, and intuitive to interact with. 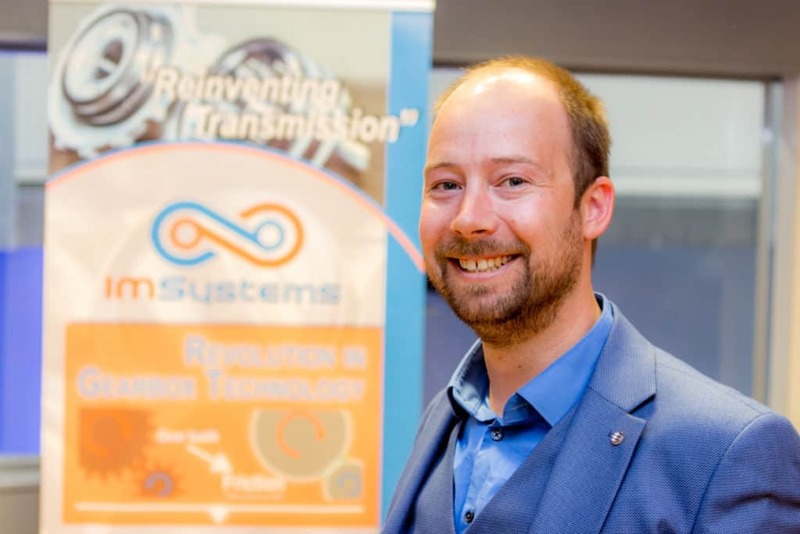 I didn’t have to hesitate when I was asked by Jack Schorsch during my post-master engineering position at the TU Delft to become the first full time employee and fifth team member of IMSystems. So here I am, happy to really contribute to the new robotized world, by enabling all actuated systems to become safer, faster, and much more intuitive.